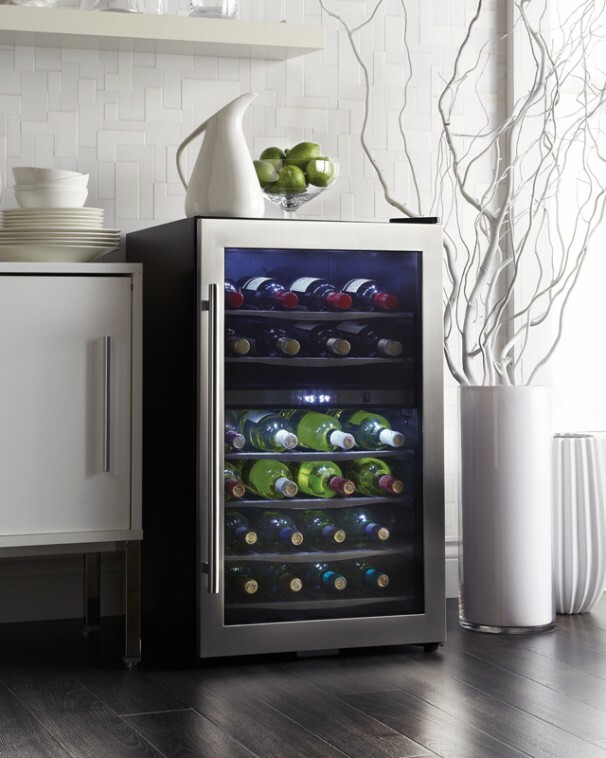 This trendy free-standing wine cooler is just what the doctor ordered if you’re looking for a unit that can store reds and whites separately. 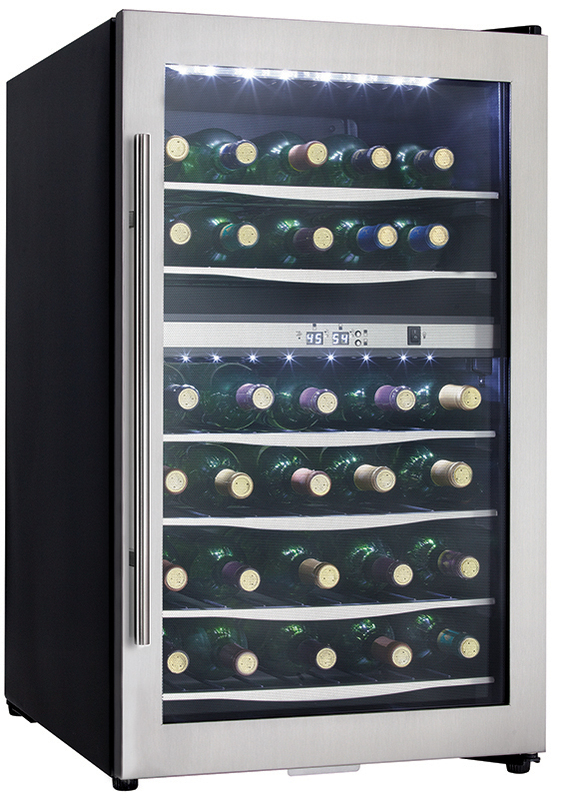 This technologically-advanced model can hold and chill up to 38 bottles of your favourite brands and comes with two separate compartments which can be independently controlled when it comes to the temperature setting. This allows you to store your white wine at one specific temperature and your reds and rose’s at another. Both compartments can be easily programmed anywhere between 4°C and 18°C (39°F and 64°F) and the bright white LED thermostat can easily be monitored the through the classy tempered-glass door. Elegance is added to the unit with the stylish stainless-steel frame and stainless-steel wire shelving units. Your cherished wine collection is brightly lit by chic white LED lighting system which allows you to see exactly which bottle of wine you’re reaching for and shuns the use of a warm incandescent bulb. This esteemed appliance also features a towel bar style door handle and comes with a handy reversible door swing which enables you to adjust it for either left or right-hand opening. 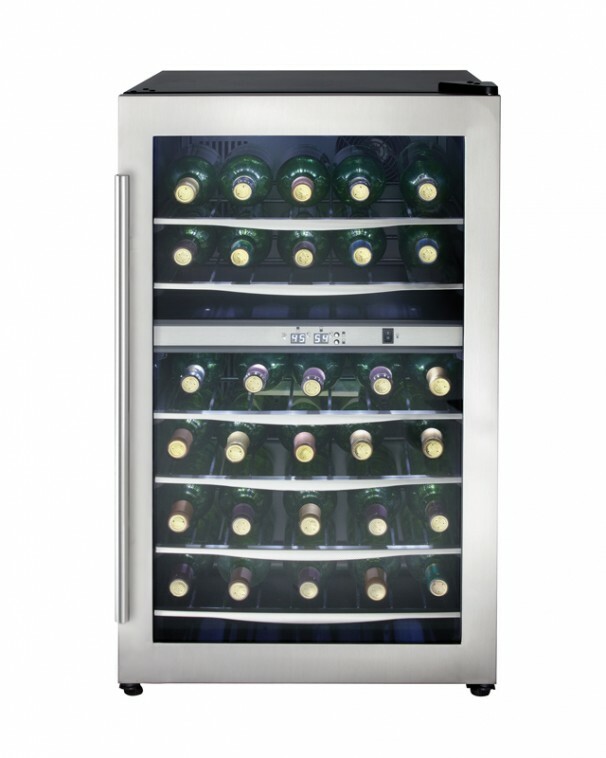 The 4 cubic-foot wine cooler also comes with an 18-month warranty on parts and labour for peace of mind and offers convenient in-home service.